These shots are from March of this year at Cesar Chavez Park in Berkeley. 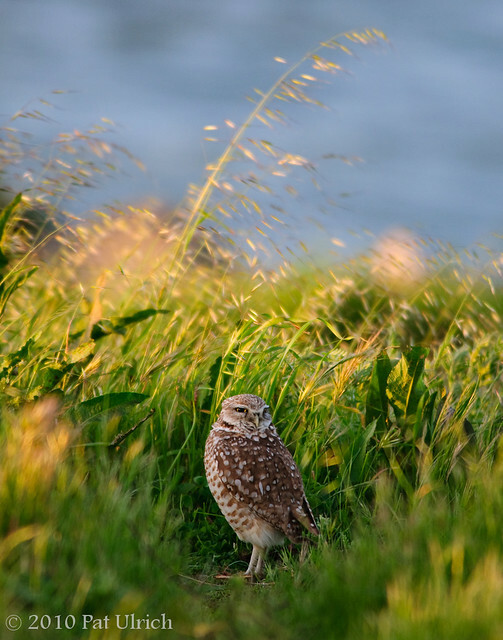 By this late in the spring, the grass had grown high, and the burrowing owls seemed to enjoy the extra cover. Thankfully there was a narrow tunnel through the grass that stretched from the bird to the trail, and I was able to get an unobstructed shot. I've been sitting with the images from this series in my queue for quite some time, and today finally felt like the right day to post some. I'm not sure why I passed them over for so long. Wow. Its as if time is standing still as everything moves around him. Beautiful capture! Thank You Pat for this special gift. I guess there are images and the moments associated with them that need to be sheltered until their time has come to be shared. The shear number of hours you must spend in the wild to get "lucky" as often as you do must be a hefty figure. It is my great privilege to have a computer and the hook up necessary to follow your photographic treks in far away Northern California. Such is the miracle of Technology. Uh, if that was my photo it would have went up pronto! Another great shot. We don't have these cool Owls here in the SE. It is good to see they are successfully nesting. I joined a "cause" page for them on Facebook. Heart touching photos. Thanks for sharing them! 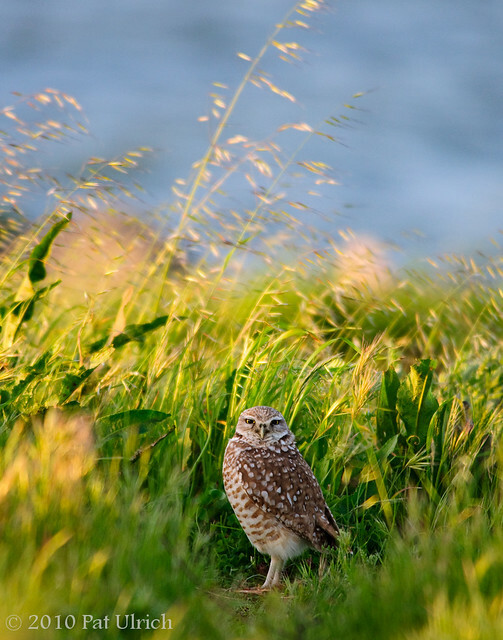 Great photos of the owl and the environment. I really like the colors. Stunning lighting round this beautiful little owl! Great shot of the owl in his habitat. Boom & Gary OfThe Vermilom River. Brilliant shots! I scrolled down the page and I really like your work. Great blog! Thanks for your very kind words, everyone!